Laura was born and raised in Gladstone. After graduating from Gladstone Area High School, Laura attended Bay de Noc Community College, then DePaul University in Chicago. 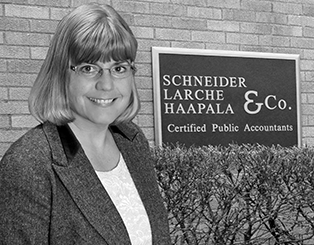 After working for a short time as an accountant in Chicago and Kansas City, Missouri, Laura returned to the area and began working for the firm in August, 1987.